The Huffington Post compiled 12 must-see snapshots of noted artists, providing a humanizing look at their lives beyond the studio. 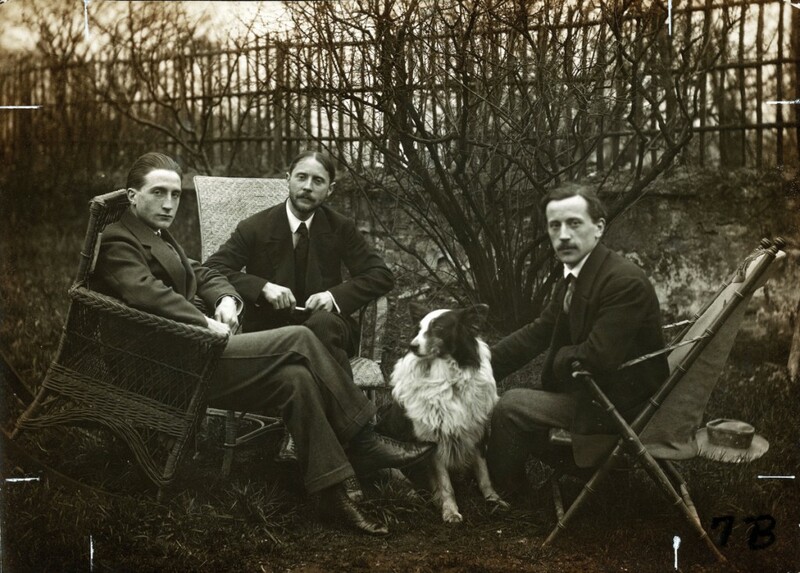 Taken from the forthcoming book Artists Unframed by Merry A. Forresta, former Smithsonian Institution curator of photography, these rare photos expose a more humble side of some of the 20th century’s most famous artists. See Jackson Pollock enjoying a day at the beach with Helen Frankenthaler, Ansel Adams captured solo in a photo booth, and more. Read all of Rebecca’s expert tips right here. If you’re struggling to make a decision, let our curators help! Our art advisors are here to help you select the perfect work of art for your home or office—always free of charge. 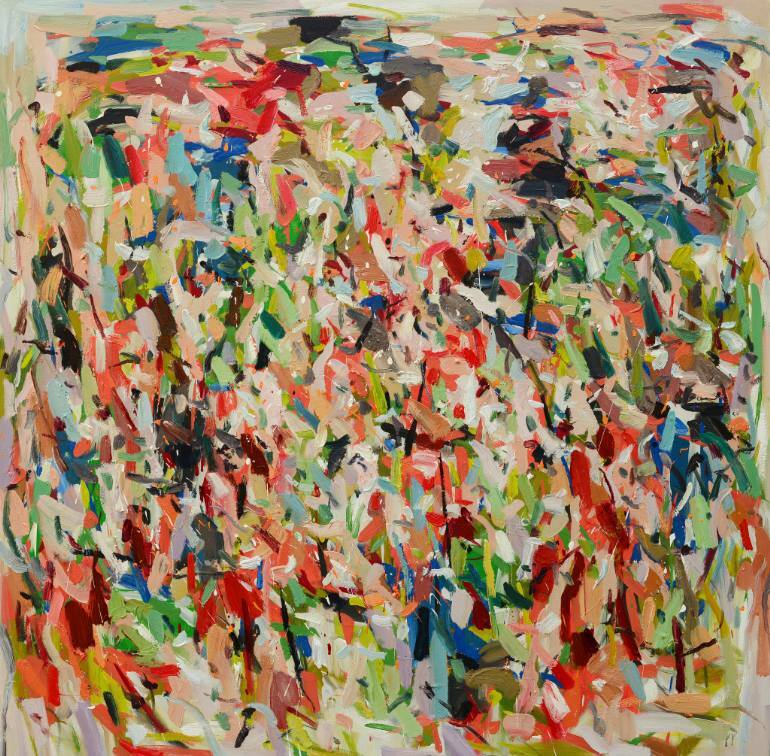 Plus, narrow down your options and check out these rising art stars on Saatchi Art, hand-selected by Rebecca as artists to invest in now. 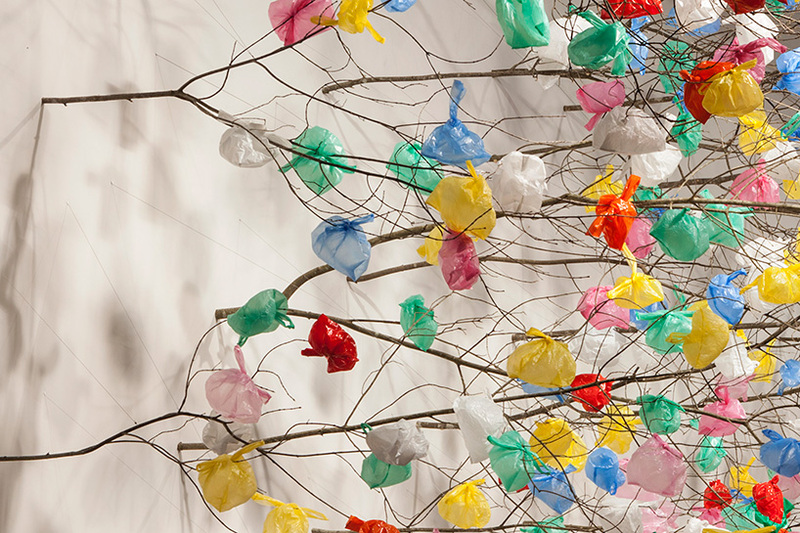 Cameroonian artist Pascale Marthine crafted a tree from branches and recycled plastic bags. 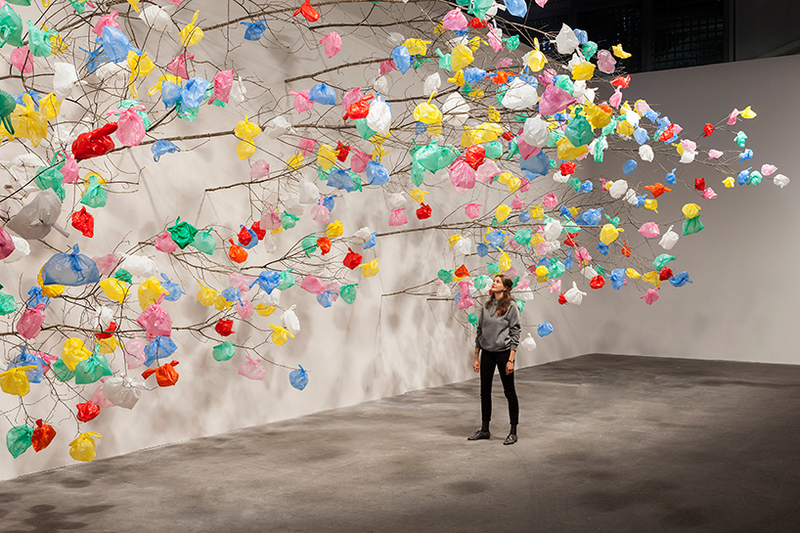 Presented by Galleria Continua at Art Basel Unlimited, the tree’s leaves are replaced with bright plastic bags, blending the organic with the man-made and illustrating the negative impact of consumerism and cultural excess. Follow us on Facebook and Instagram for more art happenings around the world! Today, the unfortunate truth is that handwritten letters are a thing of the past, replaced with sentimental emails and texts. Luckily, we can still take pleasure in the bygone art thanks to papyrophiliacs around the world. The good people at AnOther Magazine have gathered illustrated letters by the likes of artists Alexander Calder, Gladys Nilsson, and more. Check them out here. 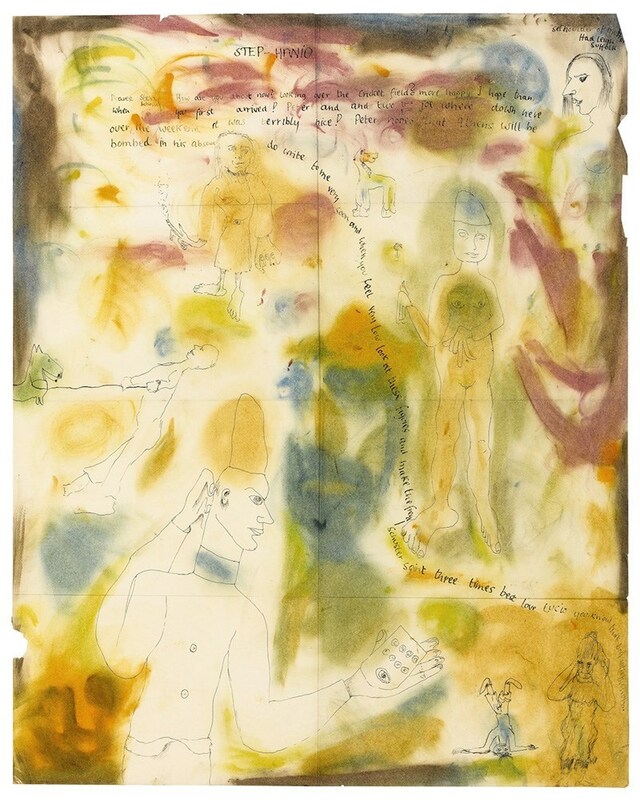 See the love letters of artist Lucien Freud, offered at Sotheby’s Contemporary Art Day Auction July 2nd. This weekend, the United States celebrates its Independence Day or “Fourth of July,” meaning fireworks, BBQ, and all things red, white and blue. 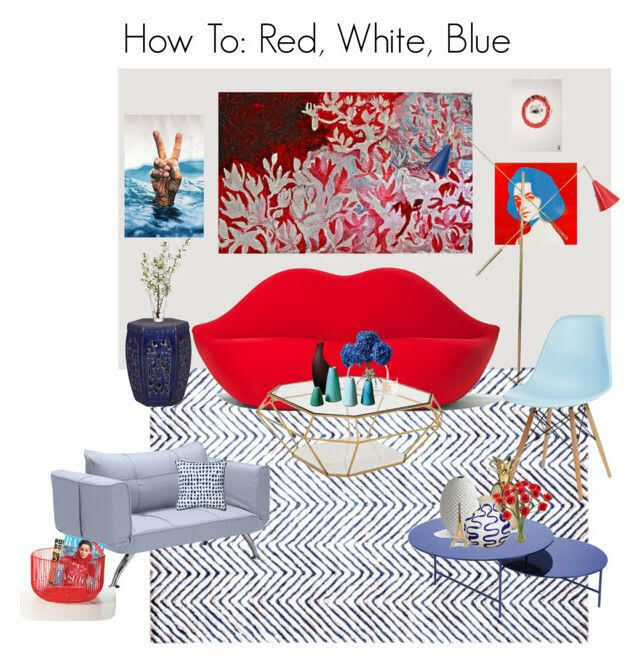 We’ve put together a collection of vibrant reds, stark whites, and cool blues to commemorate the occasion. We’ve taken this color motif further and assembled an entire living room, featuring original artwork by Thomas Saliot, Vanessa van Gasselt, Pure Evil, and Michael Lentz. On a desktop? See the entire collection here. 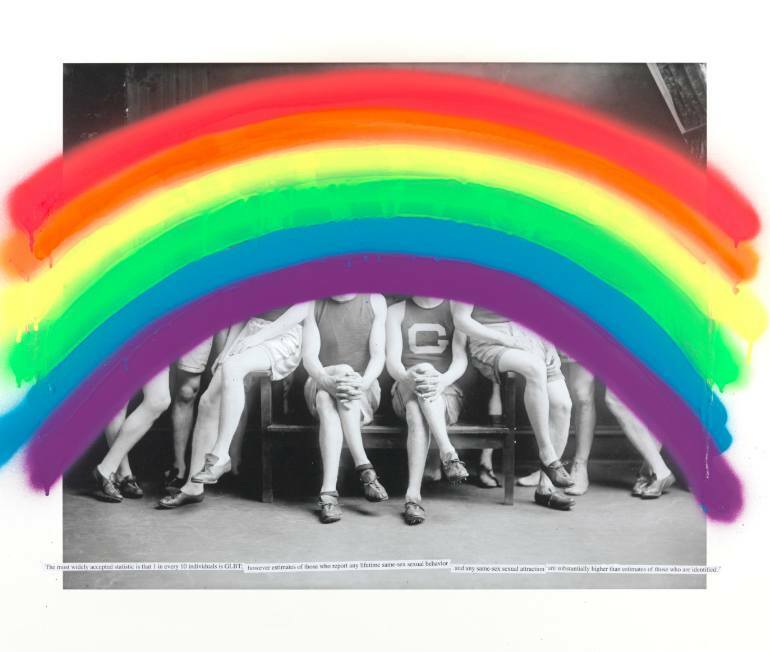 Though Pride Month has come to an end, we’re keeping up the colorful spirit. Read the full story behind Sony Pictures’ Rainbow Sculpture, inspired by their classic 1939 release The Wizard of Oz. #7: Happy Birthday, Jesús Rafael Soto! 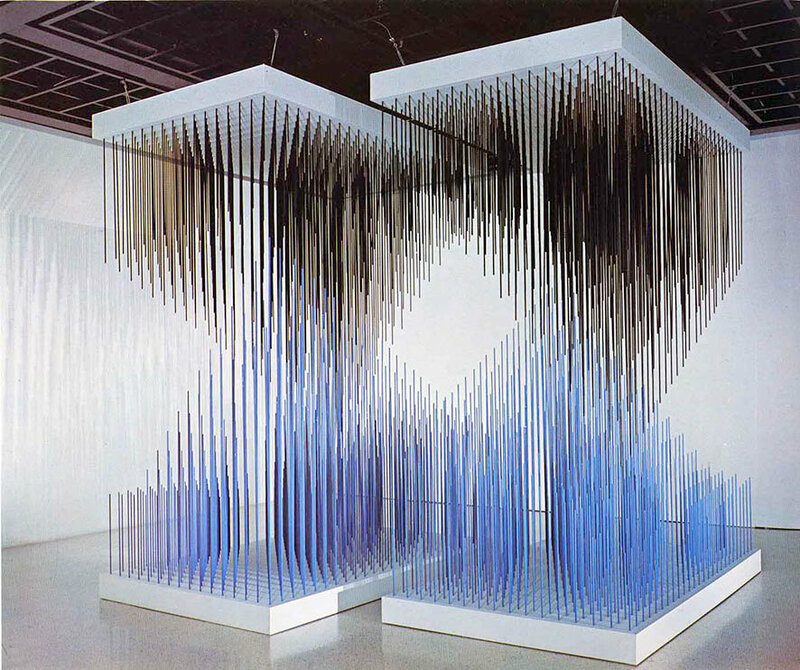 A pioneer in the optical and kinetic art movements, Venezuelan artist Jesús Rafael Soto created installations that provide visitors young and old with a joyful experience. His Penetrable series fixes hanging plastic cords from above, inviting audience interaction and a deliberate disruption of the space. See one of his beloved Penetrable installations as part of the permanent collection at LACMA.